Earlier this week, David Crosby devastated the music-loving world when he told HuffPost Live that the legendary Joni Mitchell had lost the ability to speak after suffering a brain aneurysm earlier this year. That's a tough blow for the 71-year-old singer and songwriter known for her voice. 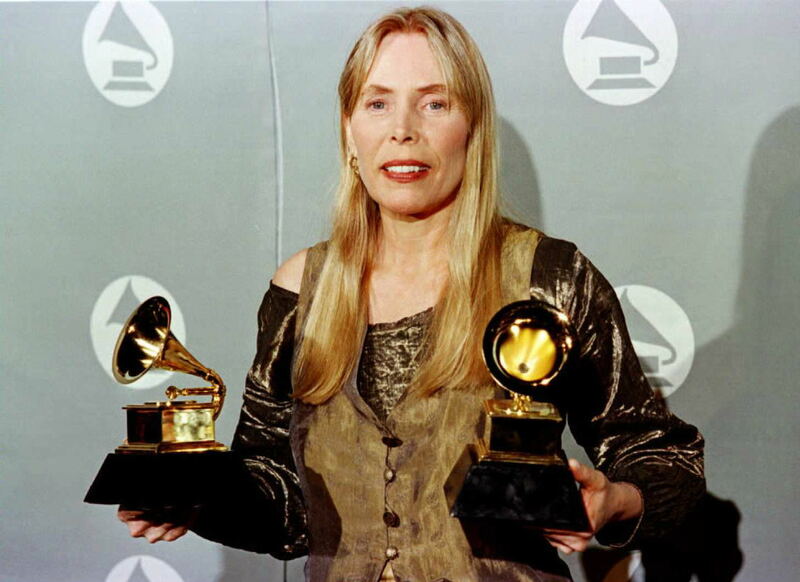 On Sunday, an approved statement from the musician's camp announced that Joni Mitchell can speak, and the world can now sigh in relief, Joni's voice will be heard once again. Mitchell's conservator Leslie Morris approved the statement, posted on Mitchell's official website, and it confirms that while the legendary crooner did indeed suffer a brain injury, she is expected to make a full recovery. "Joni did in fact suffer an aneurysm," the statement says. "However, details that have emerged in the past few days are mostly speculative. The truth is that Joni is speaking, and she's speaking well. She is not walking yet, but she will be in the near future as she is undergoing daily therapies. She is resting comfortably in her own home and she's getting better each day. A full recovery is expected." This is great news coming from Mitchell's people and we should all rejoice (I know I'm spending the next few hours listening to "Big Yellow Taxi" on repeat). Earlier this week, Crosby had told HuffPost Live that he hadn't heard from his good friend Mitchell since her aneurysm. "To my knowledge, she is not speaking yet," he said on the program. "She is home, she is in care, she is recovering. How much she's going to come back, and when, I don't know." Back in March, Mitchell was found unconscious in her home and was taken to the hospital. Rumors had circulated throughout last spring that the singer was in a coma, but it was confirmed last month by her official site that Mitchell had a brain aneurysm. While this latest update is certainly promising, it's clear that the musician still has a long road ahead of her. Fans are encouraged to post their well-wishes on the website We Love You, Joni. Best wishes for a speedy recovery, Joni — may you be singing and writing again before long.